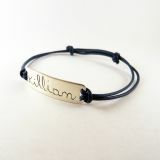 Handmade men bracelet from your child name - Kids' Art by Miss M.
Categories: Bracelets, chain bracelet, custom-made, For kids, For men, For women. 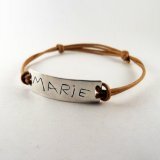 Name engraved silver bracelet made from the first name written by your child. Width of the bracelet 7/8 mm approximately. 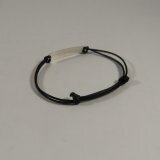 Length of the bracelet: about 3 cm. 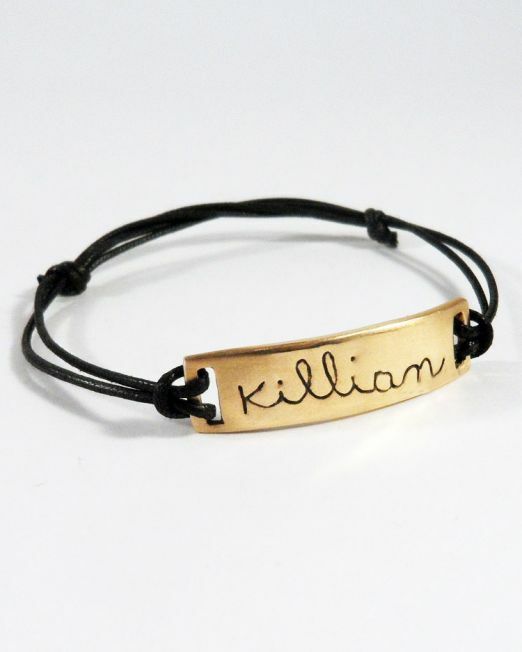 The length and width of the bracelet may vary depending on the text to be engraved. 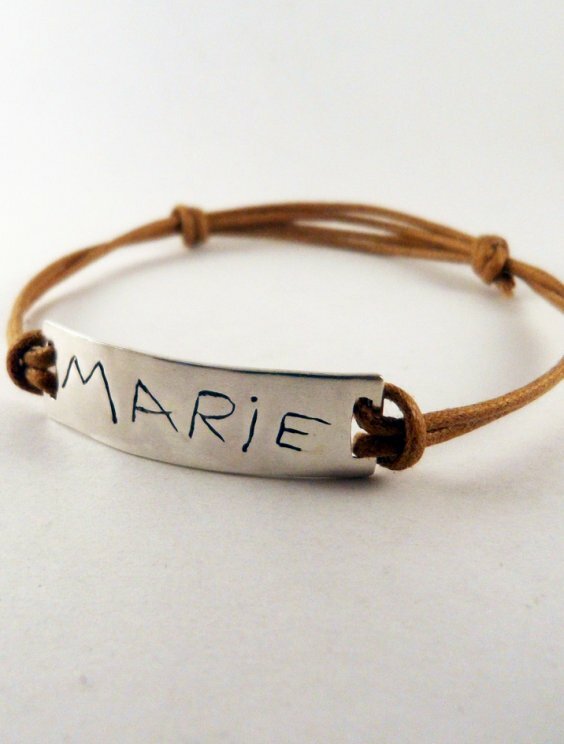 The jeweler is adapted to the need and for the sake of the size of the bracelet according to the text to be engraved. 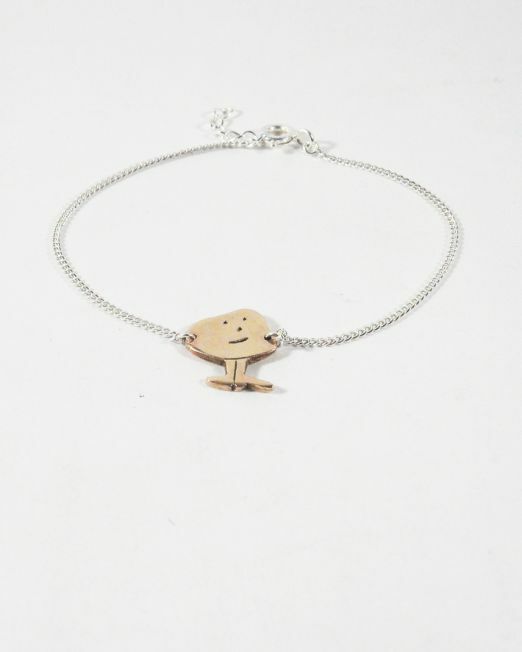 This bracelet is completely adjustable thanks to its system of noose. 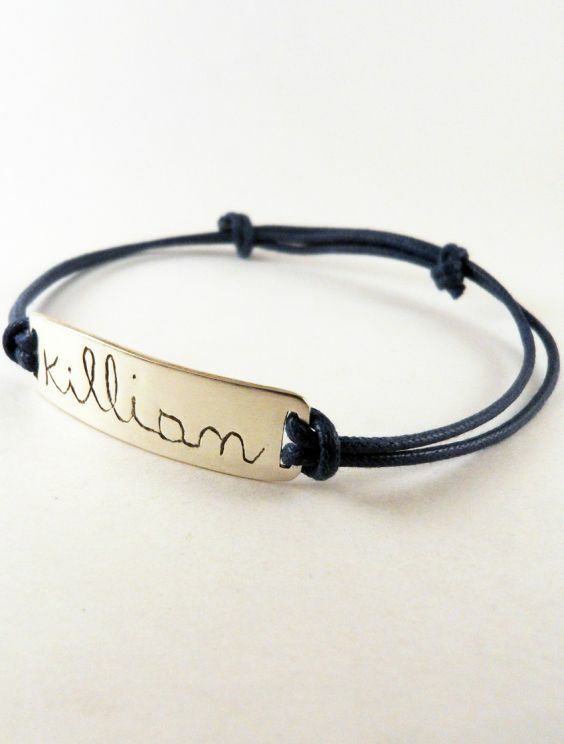 The engraved first name bracelet is a jewel made to measure. 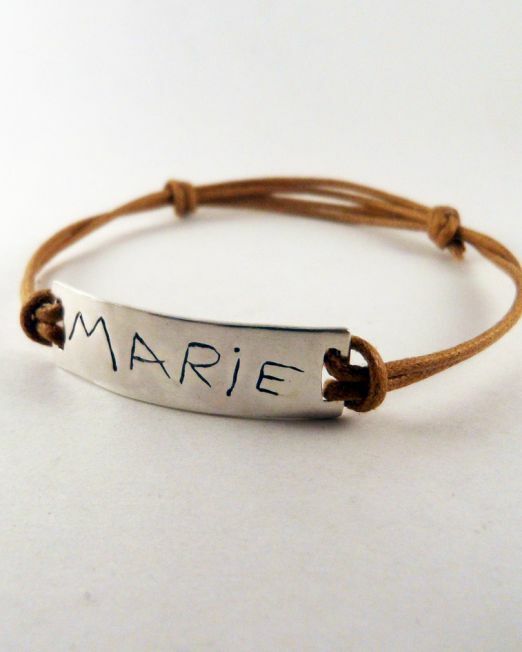 To engrave your child’s first name, send the scan or photo of the first name by clicking on “send a file”. 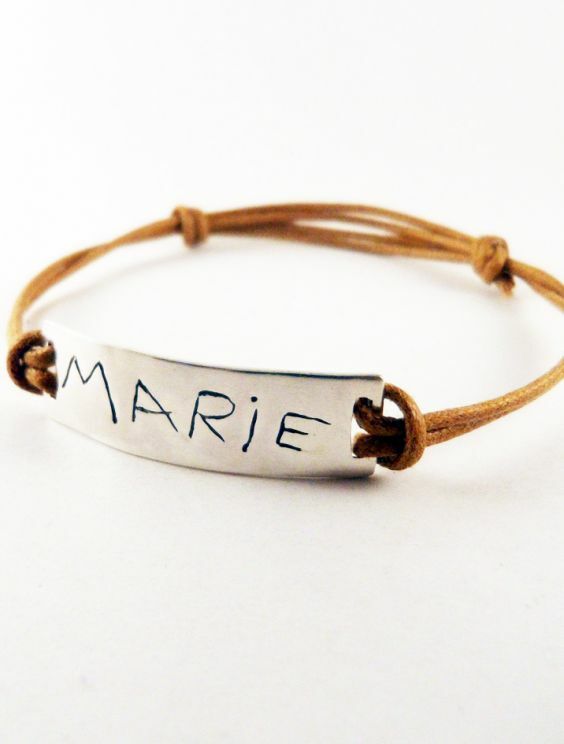 The jeweler will resize your text to fit the size of the bracelet. The bracelets are made of silver 925. 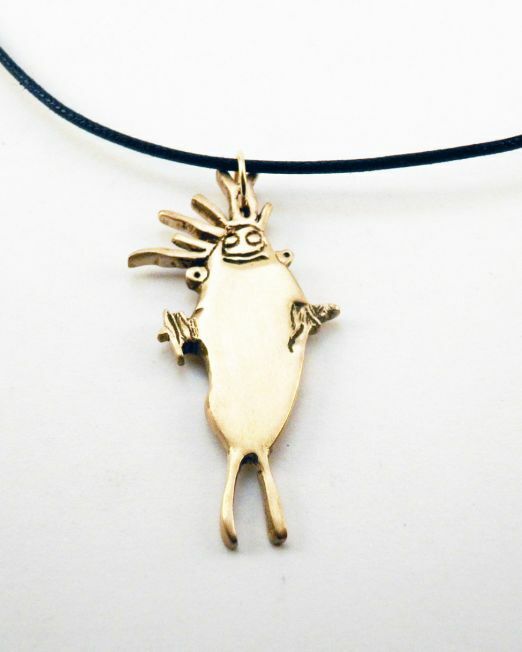 This is a precious and non-allergenic metal. 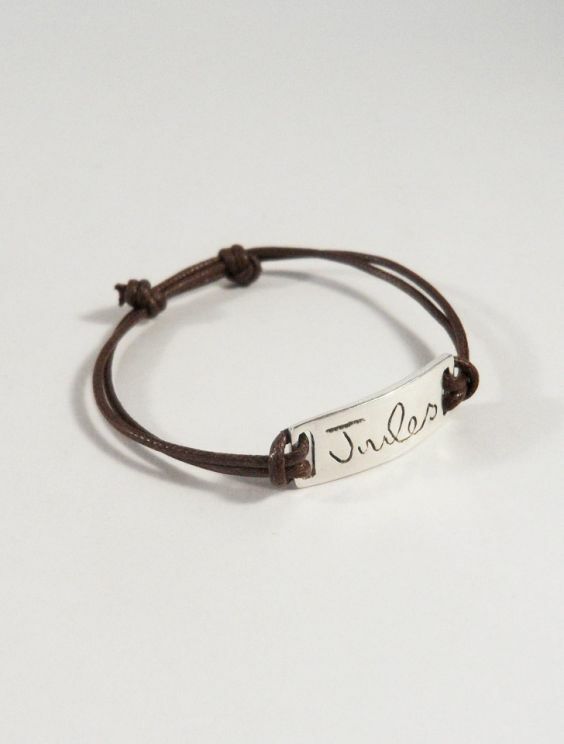 The bracelets are stamped with my maker’s mark. All the jewels are handmade in France. 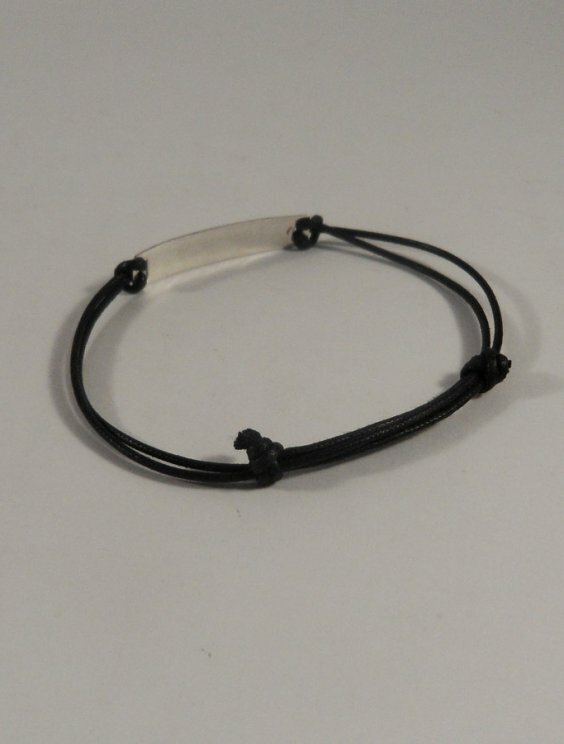 Bracelets may have slight differences with the original design. 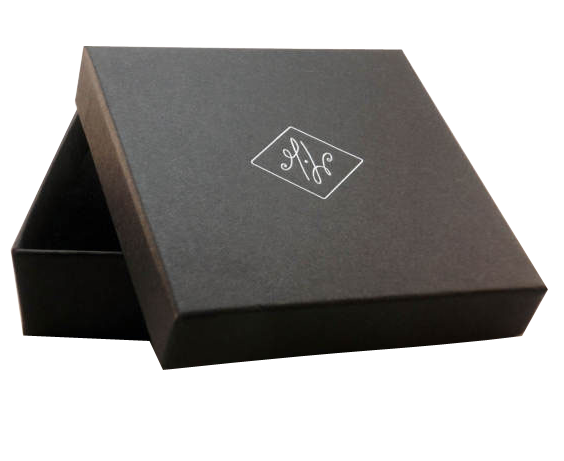 Depending on the level of detail of the design and size of the bracelet, some details may be changed. You will be notified of any changes upstream. Manufacturing lead times is one week. 5-8 days for others countries. 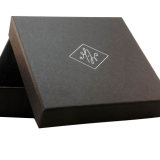 All jewelry and other accessories are packed in small black box. They are delivered in colissimo by the post office. In general, there is no particular maintenance. Rub your jewel and it will regain its brilliance! How to reproduce two or more drawings? 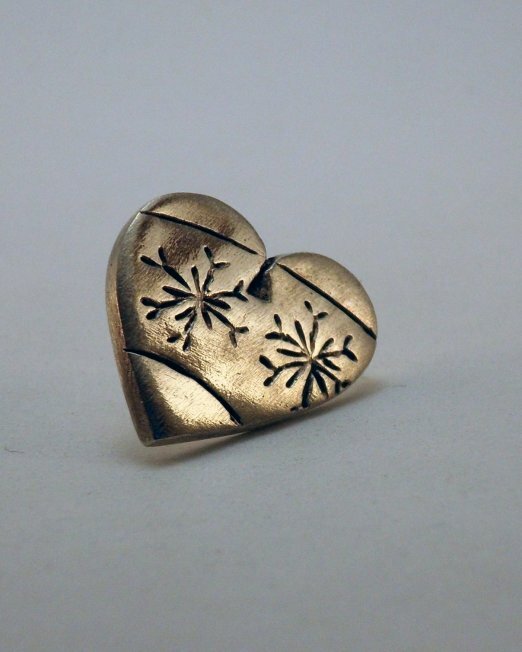 Just add the same number of products to your bag as the number of designs you want to make into jewelry. 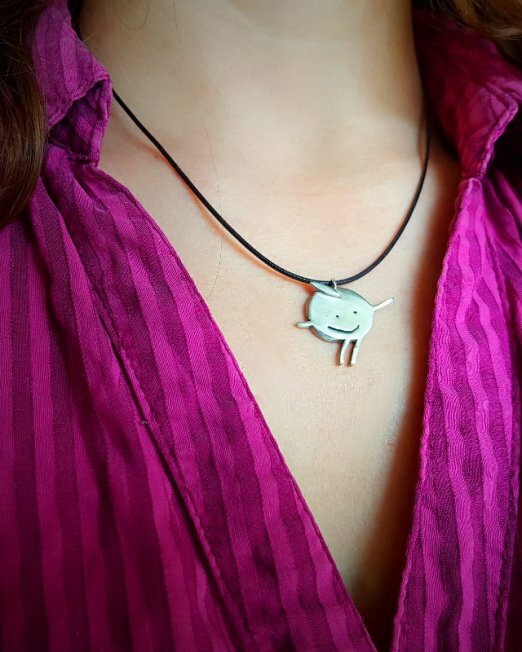 For an identical product, add it to the bag as many times as you have drawings to make reproduce into jewelry. 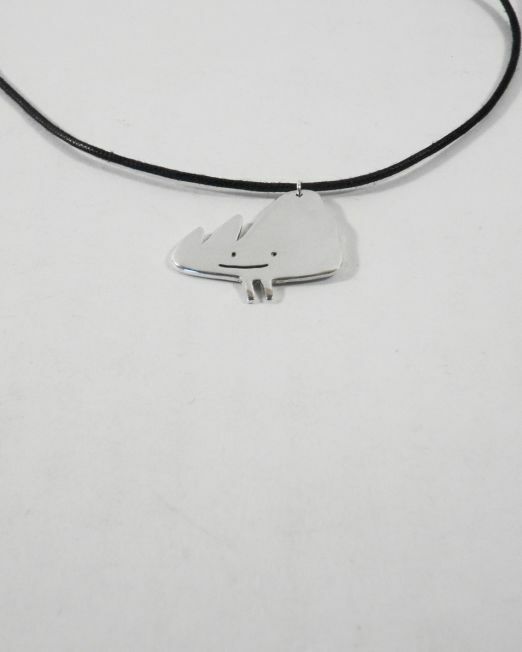 How do I do if I want to reproduce two or more drawings for the same jewel? 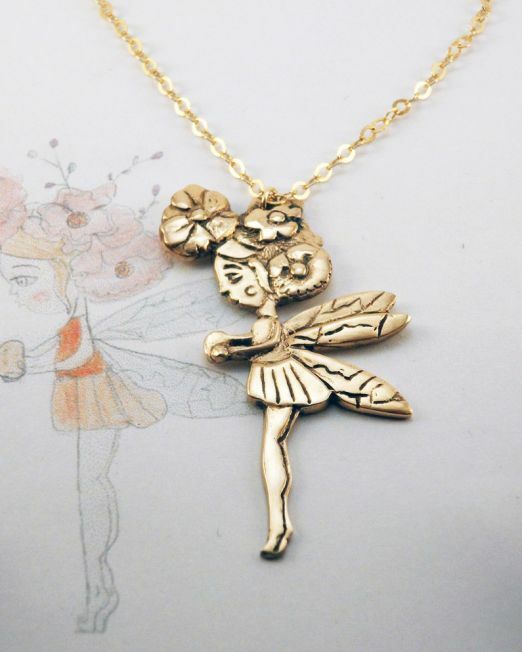 For jewelry projects not available in the online store, you can contact me.